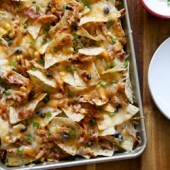 Easy crowd pleasing barbecue chicken nachos. A perfect game day appetizer or snack! It’s funny how things have a way of coming back to haunt you. I know people always say the things you do as a kid will inevitably come back when you have kids of your own and it’s seriously so true. It’s scary in a way. There are so many similarities between how I was as a kid and how my own kids are, even down to specific events… there were definitely some hair cutting incidents a time or two. But now the issue that’s haunting me and driving me crazy is the messy bedroom, which I know is a totally normal kid thing to do. But it’s just so frustrating as an adult to see the mess and the random things not put away when it’s home is so close. Thankfully the cooler weather means the ac’s can be pulled out and put away and that means I can rearrange and do a deep clean again. For a short time, things will be clean and organized. This weekend… mission clean. We’ll see how it goes and how long it lasts. Growing up, nachos were always my snack of choice when we’d go to baseball games. I can still recall the spicy cheese sauce that came with it. I may not get to baseball games much anymore, but they’re still one of my absolute favorite game day snacks. I decided to blend my favorite flavors into a ridiculously tasty platter of nachos. And let me tell you… these nachos disappeared super fast!! We couldn’t get enough! They’re packed full of so much yummy goodness… from the seasoned shredded chicken coated in sweet barbecue sauce, to the corn, black beans, BACON and of course TWO types of cheese all on top of crisp corn tortilla chips. 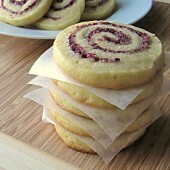 I’m hungry all over again just thinking about these. I hope you are too! 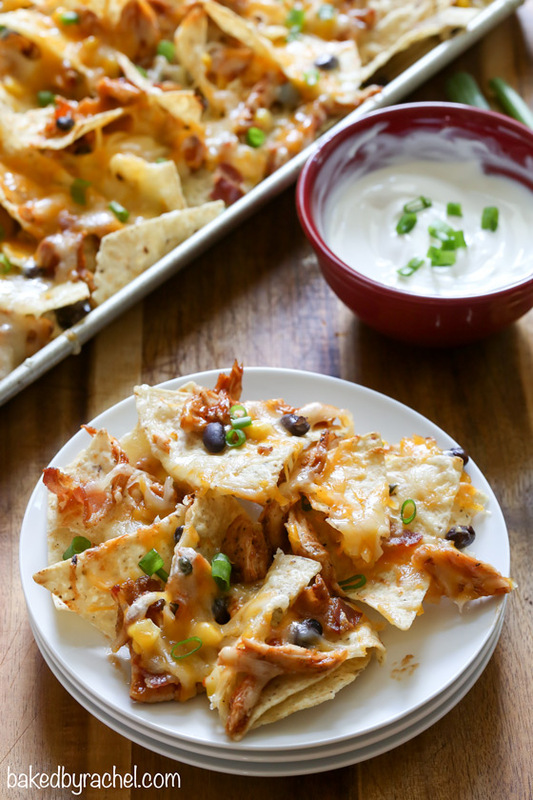 Be sure to add these easy crowd pleasing barbecue chicken nachos to your plans soon! Cook bacon over medium heat until desired crispness is reached. Drain on papper towels and chop. Discard all but 2 tablespoons of bacon fat. Cook chicken breasts over medium-low heat in reserved bacon fat. Cook until no longer pink in the middle. Shred and season with salt, pepper and a dash of cayenne pepper. Toss chicken in barbecue sauce to coat well. In a 13x9-inch jelly roll pan, create two layers of tortilla chips with chicken, bacon, corn, beans and cheese. Cook for 5-10 minutes or until cheese is completely melted. Top with green onions. 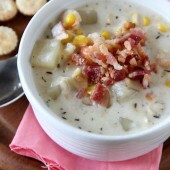 Serve warm with optional sour cream. 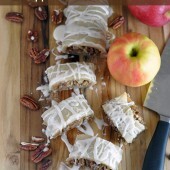 These are going on my game day menu ASAP! I definitely need to do a deep clean too Rachel. We have half our AC’s out and half still in…These nachos look great. Maybe I could reward myself with them after the cleaning! Love the bacon!!!! Growing up we would always snack on nachos too! We just added a bit of cheese to each chip then microwave them…shortcut way for sure! But these BBQ chicken nachos has my husbands name ALL over them. He is obsessed with BBQ chicken pizza, or anything BBQ for that matter. I foresee these in our near tailgating future! After my stint of living in Memphis for 8 years I am passionate about my love for BBQ nachos. It’s the best kind of nachos! Dave has nachos at least once a week, I can’t wait to make him this version!! 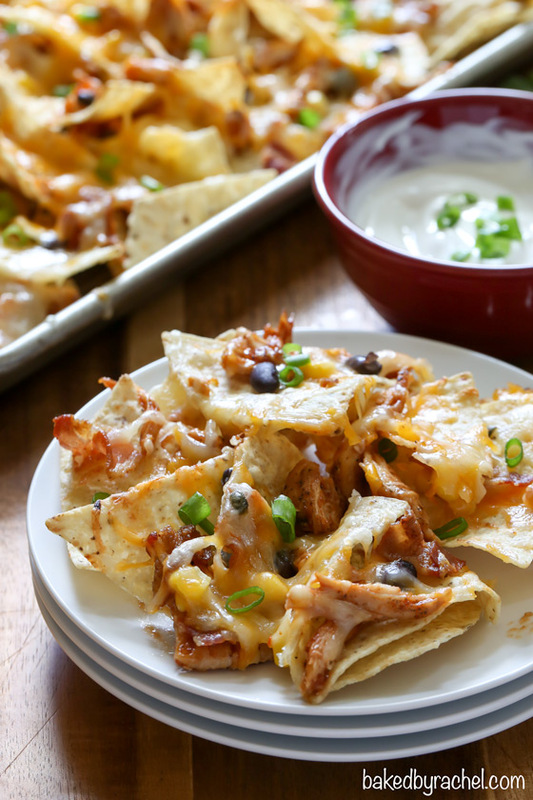 Why have I never thought of BBQ chicken nachos?! These look SO GOOD!! Like I said, can we be neighbors? I always make the same nachos and this would be a fun change. Always good to have an excuse for nachos! We really need to be! Thanks Lauren! My daughter is taking after her aunts with the messy bedroom. Most days I just close the door and ignore the mess. 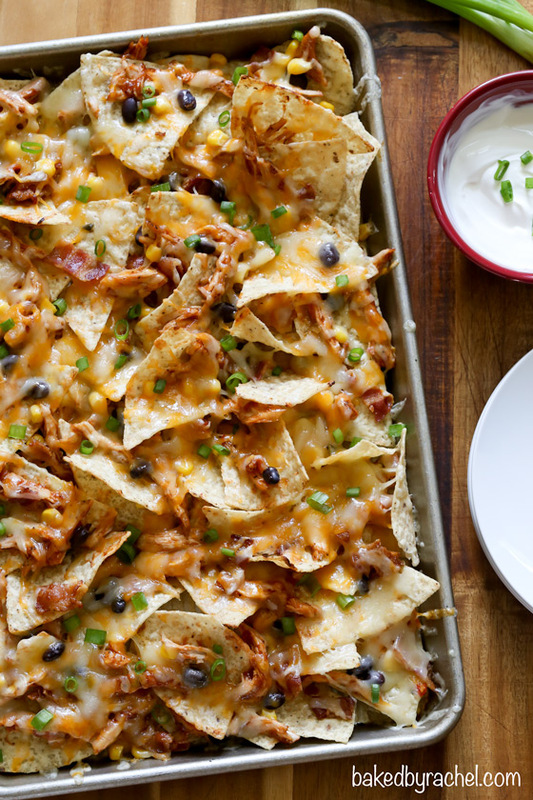 I’m sure if I had a plate…pan…of these nachos I would be able to ignore it a little more! Love these! Don’t we all wish we were a little cleaner when we were young!? lol this looks like an amazing dish! This looks so delicious! I love food like this – the flavor of bbq chicken on the crispy chips. YUM.